The single thing that makes a digital platform your favourite place is “One Thing”. Here is the key to understanding of digital transformation for daily working activities: this single thing that is giving you best return for your time invested is UNIQUE. To give you an example, the fancy automobile you buy makes you feel part of a resonating trend and ultimately part of a successful group of people who can afford it, yet you drive the car to a destinations of your personal choice. Same when you travel to the top destination Iceland, for example, yet the experience of your vacation is personal, reflecting your choice of adventure. We could hardly imagine an application that understands our interests and connects us instantly on the topic. It is not a future experience, it is a present Google+ free accessible application to connect you to your most desired new contacts and ultimately new projects. The average attention span is 8.5 seconds. 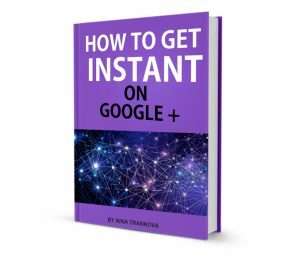 With Google plus you get the advantage to present yourself with an preliminary optimized set of text, links, visual content and editions of your interests. It is a top interactive personal presence that you don’t have on any other channel for the structure and volume of the information you can include and create. Think wise and look for best practice before starting. For your visual impact, use digital art and illustration to send a focused message to your audience. That can be an avatar, a photo, a banner, a GIF. 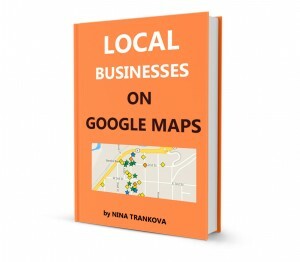 The new concept is a reflection of our natural communication through the tools of Google features and algorithm. 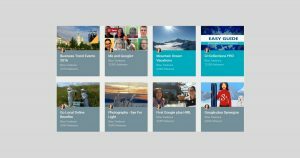 Each professional have their personality and character and if seminars, events and team buildings are the place to socialize with colleagues, Google Collections are the digital spaces provided for this purpose. I would recommend starting with one hobby collection and one curated collection around the topic of your professional expertise. A Google+ Collection passion and hobby is a handy advanced feature with the potential of immediate conversation starter, same as during offline meetings you talk about the weather, travel, food before jumping on the agenda. One hint for the covers of your collections: play with colors to easily catch attention for personal, either professional collections. What makes Google+ a most loved platform is the depth of engagement and valuable content. Listen to this forum of 24 messages from power users on the platform. In just about 20 min you will hear the essence of what world known experts like Denis Labelle, David Amerland, Zara Altair, Omi Sido, Stan Bush, Melinda Samson, Paul Snedden, Paolo Amoroso, Michael Brown and many others have implemented and practiced for the recent five years. This cluster of short video messages is practically an ongoing conference of like-minded people, connected for their interest in Google+ It’s a sophisticated circle of interest. A clustered content/ Google+ Collection can transform into a vivid space of engagement and events Google Plus Insider. The opposite is true as well. All publications around an event can be kept in a collection. What makes Collections so functional? Collections have a unique URL and with one click you can send a huge amount of content on a topic. 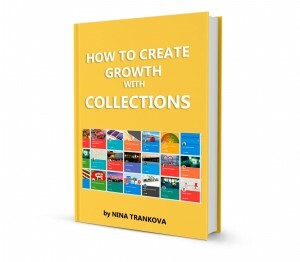 You can distribute and keep updated collections, across social media channels. There hasn’t been anything like an instant digital edition for the content you value, comprising a variety of text, image, and video.optimizedimised with a title and tag and you get instant connectivity on the topic of interest. Another professional aspect of collections is leveraging visibility of top content like best articles, top services etc. At the same time you can curate content for the corresponding industry, have the latest publications with your comments, events, analyses in another Collection. The concept of the activity on Google+ can be summarized, depending upon the industry, to be an ongoing expert discussion and a 24h/365 day demonstration of top content. You don’t just discuss, you refer to the digital catalogue/ Google Collection of your valuable work instantly. This makes the communication interconnected, authentic and efficient just like in a real life meeting. You also save time to your audience scrolling your site for a specific topic. Notifications having the filter to unread, other updates, and all. 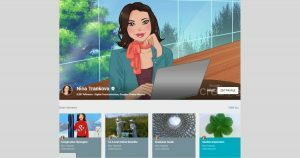 It’s up to the creativity of the users to adopt Google+ platform as their preferred tool to leverage their professional skills and projects. 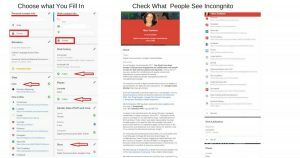 There are super interesting approaches to implement Google+ for communication and connectivity, just research diverse practices and check how do Google Create Members approach the top technology application.